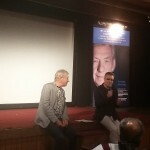 Posted in Arts and tagged Arts, BFI, British Council, cinema, Ian McKellen, Kashish Film festival, MAMI, Mumbai Film festival, Shakespeare, Shakespeare on Film, theatre on May 12, 2016 by Debesh Banerjee. Calm and collected. 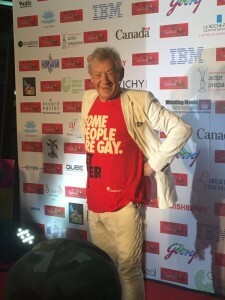 Sir Ian McKellen’s on-screen persona matches his real-life self. 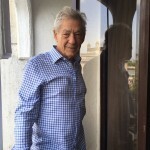 ‘Gandalf’ aka McKellen kicked-off his Shakespeare tour of India in the balmy weather of Mumbai, with an hour-long Twitter chat with fans from across the globe, on 22 May. 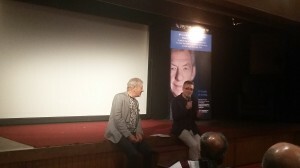 Having arrived the night before on a long-haul flight from London, McKellen was gracious enough to entertain questions from fans across the globe who enquired about his eating preferences to his favourite Shakespeare roles on-screen. Check out updates from the tweet chat here. 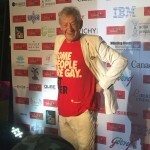 Having discovered Shakespeare “at the age of 9″, McKellen is known for his acting on stage in plays such as Macbeth, Henry IV; King Lear and Richard III. 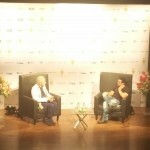 The next day, 23 May, he spent an entertaining evening, in-conversation with actor Aamir Khan at the NCPA, Mumbai. With a full house, the nearly 1,000 audience members listened intently as both veterans discussed Shakespeare and acting influences. 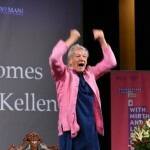 It’s no surprise that McKellen is a master of the stage and that fact was exemplified when he delivered an impromptu performance of the Elizabethan play, Sir Thomas More, to a chorus of applause. The next day, McKellen screened his BFI classic RichardIII to a small gathering of Shakespeare fans from Mumbai. 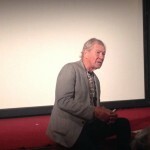 The 108-minute screening was followed by a lively discussion on the influences behind the movie, between him and Robin Baker of the BFI! Not just Shakespeare, McKellen is known for being a global LGBT rights celebrity having been vocal about his opinions from an early stage. He was also the guest of honour at the Kashish MIQF festival on 25 May, where he also celebrated his 77th birthday with a cake-cutting ceremony. 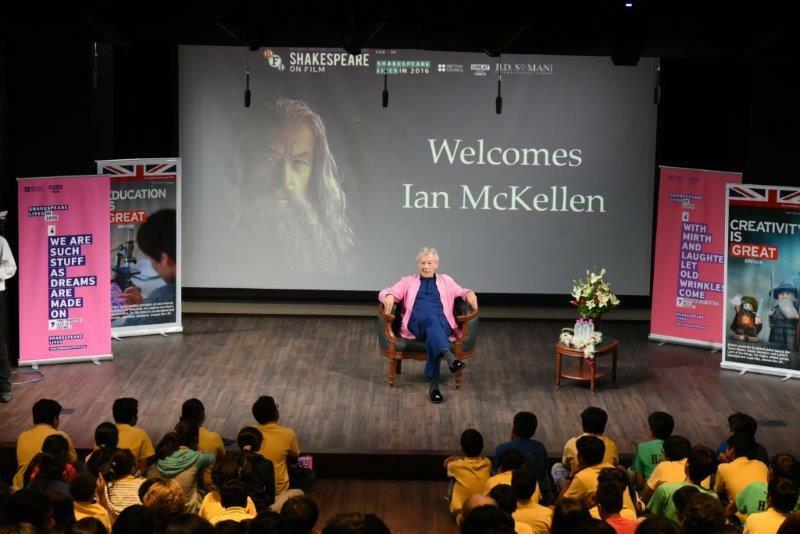 On the final day of his visit, Ian had a school engagement where he addressed children from the BD Somani school, who also staged a version of Shakespeare’s Twelfth Night.